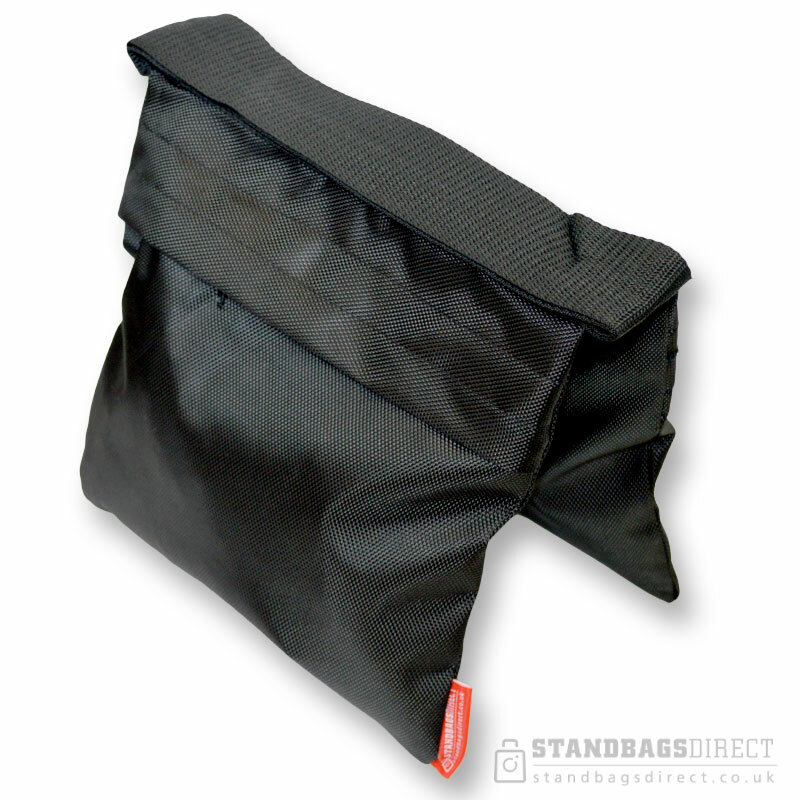 Rugged studio and camera equipment sandbag manufactured from a hard wearing fabric in matte black. A portable professional product, with a strong feel of quality to secure your equipment. Smart design – look more professional when self-opping. Your mic will stay where you want it! We are real people that care about supplying quality equipment at a reasonable price to help you protect your photographic equipment and your reputation as a professional. 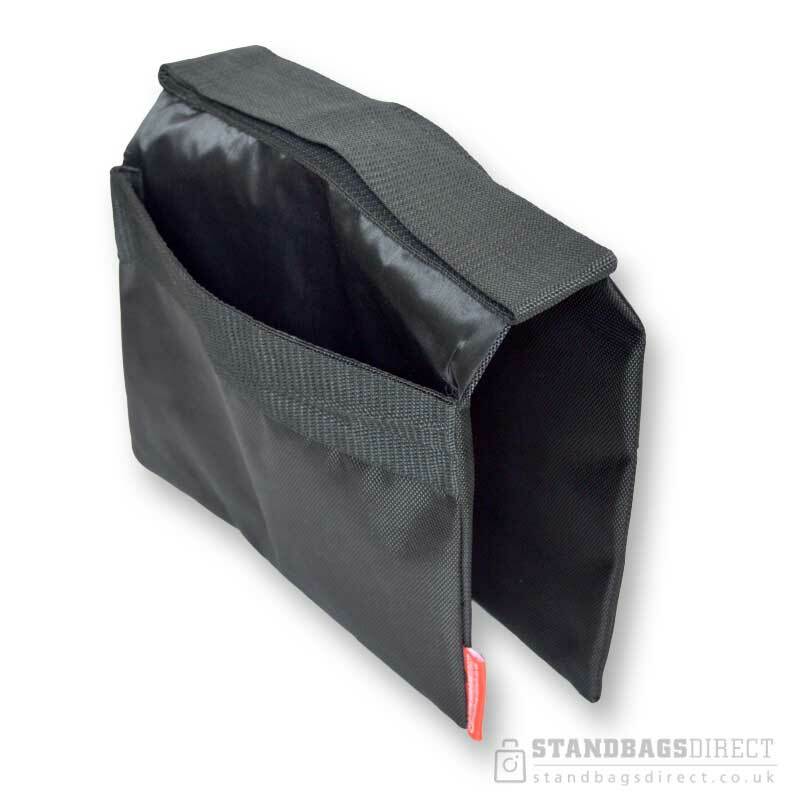 Our sandbags are manufactured from 1080D material to a proven design. Photo/film professionals use saddle sandbags to ballast light stands, tripods and production equipment. Designed to secure and balance your lighting stands and other vulnerable upright equipment in windy locations and reduce the risk of falling when knocked in the studio. Buying your sandbags from us is cheaper because there's no stockist mark-up. Buy with confidence that you're always buying at the best prices. Industrial sandbag usage includes experiments and structural weight testing. 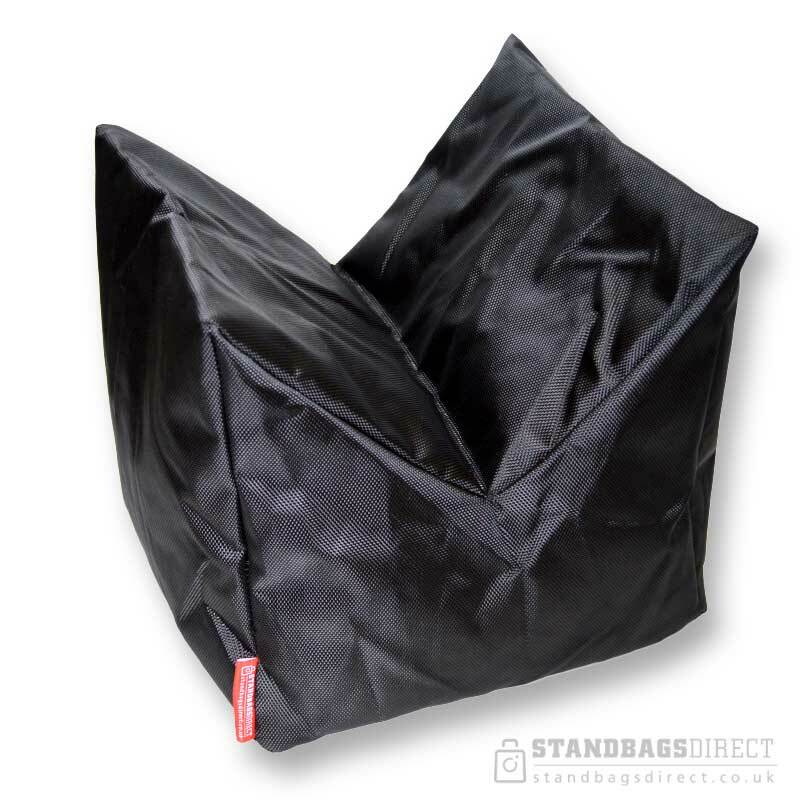 Use saddle sandbags to secure signs, banners, umbrellas, canopies, tarpaulins and displays.